The woolly world of Yoshi reminded us of the yarn aesthetic of Unravel, and in part 1 and part 2 of this article series we examined the yarn-like mechanics and design of these two games based on their E3 trailers. Yarny, the player character in Unravel, has a diagonal grappling yarn shot that reminds us of Chibi-Robo! Zip Lash. Chibi-Robo! Zip Lash Mechanics Ricochet Zip Lash The Zip Lash can ricochet off of objects. Video! Chibi-Robo! Zip Lash Mechanics Zip Lash Seems to be able to aim and throw the Zip Lash in 2 directions. Forward and diagonally up forward. Chibi-Robo! Zip Lash Mechanics pull Zip Lash The Zip Lash can grabble object and pull Chibi Robo along ending in a short jump. Video! Chibi-Robo! Zip Lash Feedback When aiming the Zip Lash, a red laser line shows the path the throw will take. After a certain distance or maybe after a bounce, the line fades forcing playres to use knowledge based aiming instead of visual based skill. Video! Chibi-Robo! Zip Lash Mechanics Dynamic, hover Preparing to throw and throwing the Zip Lash makes Chibi Robo hover in mid air. Video! Chibi-Robo! Zip Lash Level Elements Multi-Coin Block Just like Mario, there’s a block that must be hit repeatedly to earn multiple coins. Video! Chibi-Robo! Zip Lash Power-Up / Upgrade / Economy Burning Robo Special red outlets allow Chibi-Robo to catch on fire. Video! Chibi-Robo! Zip Lash Level Elements Fire Walls Walls that can only be progress through using Burning Robo Video! Richard: Check out the diagonal ZIP LASH mechanic. It looks like players can only ZIP LASH straight forward and diagonally upwards. If this is the case, that’s really interesting asymmetry. Mega Man is great because he can only shoot straight with his default weapon the M.Buster. This means he has to jump to aim at things in the air or on raised platforms. Having to move in unique ways and coordinate that movement with shooting makes for more engaging gameplay challenges. It’s the same way with SHMUPs that only let players shoot vertically (e.g. Ikaruga) and games like Super Mario Bros. where Mario can only shoot fireballs forward and downward. Or perhaps the best analogy is Bionic Commando Rearmed. Marcus: Bionic Commando is a great example. Not just because it contains a very similar mechanic but because it explores the design space of using a grappling hook in an action and puzzle oriented way. Comparing the asymmetric design of these two games is tricky. But the Challenge Mode (i.e. puzzle mode) in Bionic Commando is an isolated and focused challenge absent of enemies, weapons, bosses, etc. This mode focuses on problem solving and traversal through grappling. Looking at the Zip Lash trailer, there doesn’t seem to be much in the way of battling so the puzzle comparison seems apt. Mike: You can break this asymmetry down even further and look at the typical fighting game genre style of normal attacks. The player has to coordinate their movement along the stage, using forward and backward movement and jumping, with timing attacks that lock their character in place for varying numbers of frames. Some special attacks allow the player to move while attacking in specific ways, like Chun Li’s spinning kick and even Ryu’s fireball which he can walk behind as it slowly makes its way across the stage. This kind of trade-off and interconnection between movement and attack is so common in deep games it’s easy to miss it! Richard: Good point, Mike. Even though the moves in fighting games are generally very quick, being forced to move or attack is the kind of asymmetry I love. I call this kind of asymmetric design “stop-and-pop” when we’re talking about shooters. Richard: Looks like the ZIP LASH grappling spots are clearly marked as orange wall mounted level elements. Chibi-Robo! Zip Lash is doing it Zelda Hookshot style. Unravel’s anchors are, at least to my eyes, more organically integrated into the visual design. They’re easier to overlook, which is probably why the developers added that extra bit of glowing light to the anchor points. Marcus: The anchors in Unravel function more like swinging in Bionic Commando rather than being pulled along the ZIP LASH. While I can see some of the Bionic Commando Challenge Room puzzles offering similar challenges to Unravel, the way the ZIP LASH ricochet along walls and blocks is more like the way an egg behaves in Yoshi’s Woolly World. Similar environmental puzzles could be used in both. Richard: Also, the ZIP LASH grabs coins and other pickups as it travels just like Yoshi’s thrown eggs and yarn balls! Richard: The visual feedback design for the ZIP LASH is doing something pretty neat. In this game, the ZIP LASH extends in length as players progress through the level. This allows for the level design to create locks and keys pretty easily with space e.g. large gaps to cross. When preparing to ZIP LASH, Chibi-Robo swings the cord around. Notice how the red aimer turns into an ellipses near the end of its range. Also notice how a round red target mark appears when an object is in range. Looks like you’ll always know when you’ll hit an object in range, but after a bounce or two, the trajectory isn’t drawn out for you. MIke: That’s an interesting learning aid. For most of the simple interactions in the game it lays out exactly what will happen, but for more advanced interactions involving ricochets and long distance ZIP LASHING it requires players to test their spatial judgment, experiment, and be able to forecast the ZIP LASH’s behavior. Unravel Mechanics Yarn man unravels as the player travels through the level. Unravel Mechanics Swing Tether swings with yarn from your own body. Video! Unravel Level Elements Kite, Anchor Has an anchor point players can use to fly themselves away. Unravel Level Design Stealth Use the shovels and objects in the mid ground to hide and avoid dangerous elements in the background. Video! Unravel Mechanics Pull Use yarn to pull a light source through a dark snow storm Video! Unravel Level Elements Fish, Anchor Use the hook in a fish as an anchor to power your raft. Unravel Feedback glow anchor anchor points glow very faintly with a while particle effect. Richard: I initially thought that the Yarn theme in Yoshi’s Woolly World was completely visual, but as I’m looking at gameplay footage more closely, I can see more and more Yarn-like mechanics and systems. Contrast Yoshi with Yarny from the upcoming PS4 game, Unravel. It’s not every E3 that we see two games with a yarn aesthetic! Unravel looks like more of a puzzle game or a set piece-driven exploration game than it does a platformer. The level design seems more linear and the camera view doesn’t look like it lets players see a large part of the level. Marcus: The camera does look zoomed-in a bit. However, in the gameplay scenes, the ratio of Yarny to screen-size is about the same as Mario’s ratio in his wide screen platformers. I guess it is a matter of perspective: the slightly zoomed-in camera conveys how different the world looks when you’re small. The real take away is that the camera always appears to be a singular forward-focus camera. The camera in the horizontal side-scrolling scenes always positions Yarny in the center or the left quarter of the screen. Even when moving left the camera doesn’t adjust to give players a better view of where Yarny is facing (0m44s). Like the original Super Mario Bros., the camera is telling you to keep moving right, which hampers a potential exploration aspect. Richard: The yarn theme is the aspect of Unravel that excites me the most. It has the potential to be mechanical (solving puzzles) and thematic (tying a story together) and a neat system for conveying player limits and other important information (feedback). The tricky part is that all of this potential is best realized with nonlinear gameplay. My first thought was that the puzzles would need to feature multiple solutions for the theme of tying things together to be well-supported by the gameplay. Then I realized that the puzzles don’t have to be nonlinear if the multiple attempts at solving a puzzle consumes yarn, which would limit the player’s ability to explore or use other mechanics. It’d be neat if yarn was a resource to conserve, spend, and consider. Marcus: Not just multiple attempts, but an elegant solution to a puzzle could use less string than a brute force method. 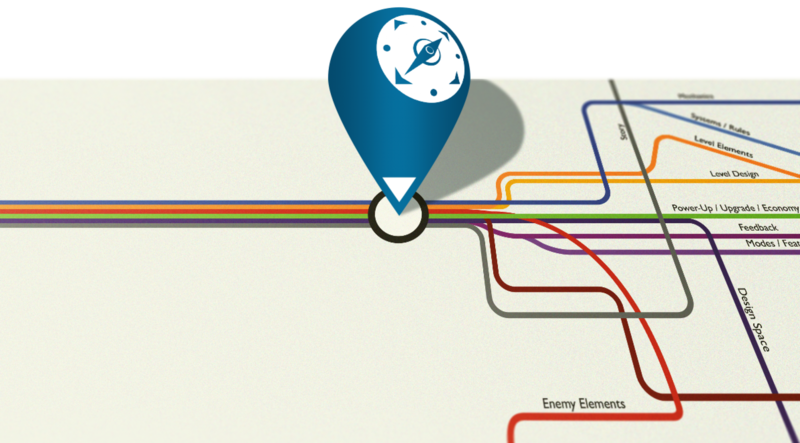 It’s the opposite of The Longest Path puzzle in Professor Layton and the Curious Village. Each street intersection in the Layton puzzle could be a hook to attach your yarn to and swing across in Unravel. Taking the optimal path by hooking the correct series of hooks would take up less yarn and thus could afford you more string to work with later. Richard: I found a secret! Right where the rock crumbles, there appears to be a cove with a small red, yarn-like collectable. I assume this is an early level in the game so the secret placement is relatively simple. Still, secrets are optional challenges that give gameplay a degree of nonlinearity. I wonder if grabbing this secret will leave a trail of Yarny yarn to indicates the player went off the main path. On a side note the visuals are very impressive. 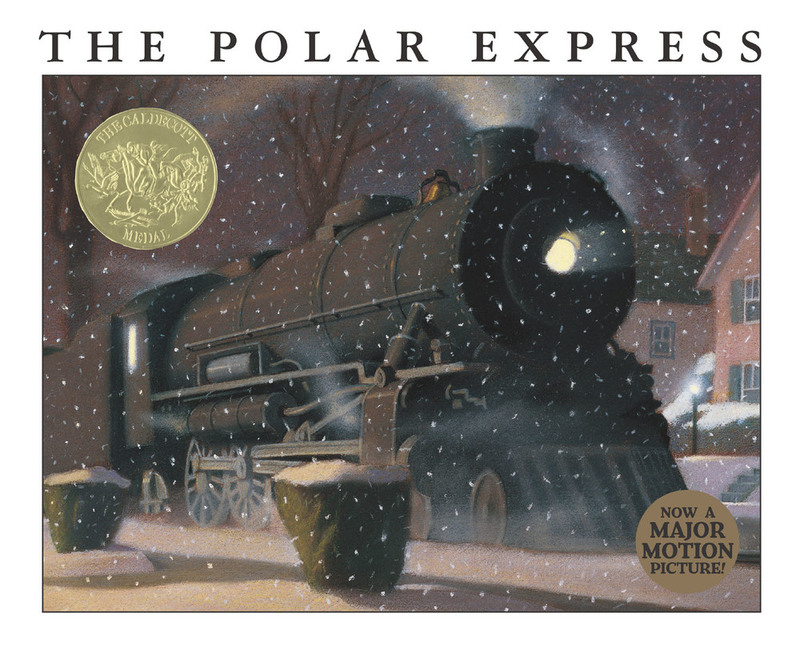 The snow scene in particular reminds me of the Polar Express art. Also, the way Yarny throws out lines of yarn reminds me of Chibi-Robo! Zip Lash, a 3DS game from Nintendo that was also featured at this years E3. Stay tuned as we continue this thread.